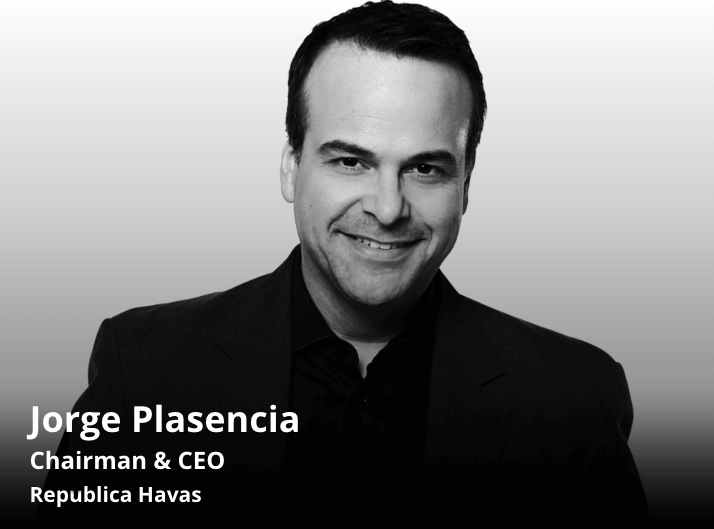 Republica Havas Co-founder, Chairman and CEO Jorge A. Plasencia has been selected to serve on the judging panel for the 2019 Clio Music Awards. The awards celebrate the visceral power of music to connect consumers and brands around the world. To the jury, Plasencia brings his years of experience in marketing media, music, entertainment, and sports, including his stint as vice president of music and entertainment conglomerate Estefan Enterprises Inc. where he was responsible for corporate business strategy, marketing, and communications, and played a vital role in the business affairs and management of several international artists including Gloria Estefan and Shakira, and in addition his time as an executive with Univision Radio. The Clio Music Awards honor groundbreaking work across a variety of categories including artist self-promotion, music marketing, brand collaborations, and the use of music in advertising. As part of its judging process, Clio appoints executive marketers and lead creatives from around the world with in-depth knowledge of the music marketplace. The judging criteria across all program mediums are creativity and originality. For the complete list of Clio Music jurors, click here. Republica Havas is one of America’s leading and fastest-growing multicultural creative, media, and communications agencies. Through its “Rethink Relevant” strategic mantra, Republica Havas provides integrated services including strategy, creative, research, media planning and buying, analytics and consumer science, digital, public relations, social, and experiential to numerous blue-chip clients in the U.S. and markets around the world. Founded in 2006 and based in Miami, Florida, Republica Havas is the lead multicultural agency partner of Paris-based Havas Group. Havas is a division of Vivendi, a global content, media and communications group with assets including Universal Music Group, Canal+, Gameloft and Dailymotion. For more information, visit republicahavas.com, and follow @RepublicaHavas and #RethinkRelevant on social media.